A special 'Tilley' ladies soft bowler. 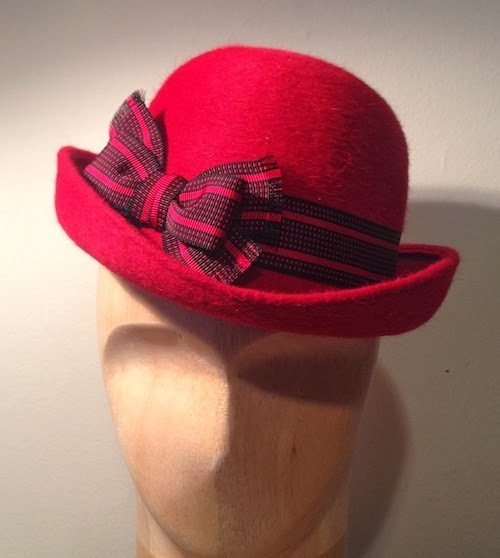 This one in tweedy red felt with black and red ribbon trim. Not sure I'll be making more of these unless I hear good feedback on the style, so if you like it let me know. 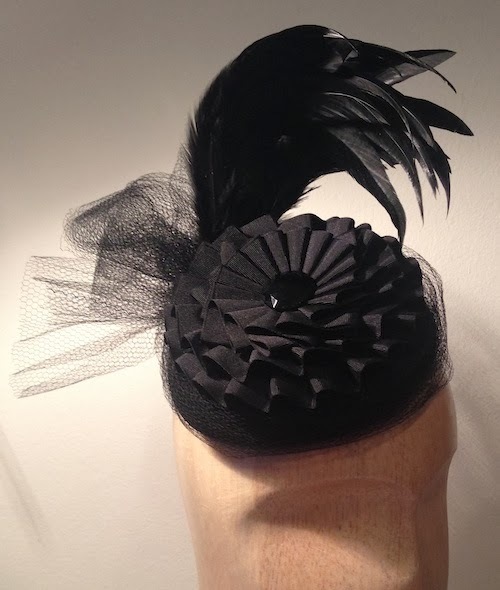 A mini pillbox for the holidays, this 'Polly' in black with a big cockade, rooster feathers and veiling would look great with a little black dress for holiday parties.